Arctic.ru has published the transcript of the webinar ‘Kola Arctic microorganisms: theoretical and applied aspects.’ Maria Korneikova, PhD (Biology), and Head of the Microorganism Ecology Laboratory at the Institute of Northern Environmental Problems, Kola Science Center of the Russian Academy of Sciences, reports on the use of microorganisms for fighting pollution in the north. Maria Korneikova replied to questions from the audience after the webinar. You have mostly talked about useful microorganisms and said a few words about the opportunistic varieties. What role do microorganisms play in the Arctic ecosystems? Generally, they destroy organic substances. The soils in the area were formed by microorganisms, otherwise they wouldn't exist. Microorganisms also play a part in circulating various substances. They accumulate pollutants. For example, the mushroom mycelium accumulates heavy metals. Have you conducted comparative research in non-Arctic regions? We basically work on the Kola Peninsula, but we work with our colleagues and study their publications, including those from Lomonosov Moscow State University's soil science and biology departments. We work with them whenever possible and when we have a mutual interest. This allows us to make comparisons and discuss the specifics of Arctic microorganisms. There is a lot of discussion on climate change. How will this process influence the structure of microorganism communities? Have you analysed this? That's a good question. Let's look at microscopic mushrooms in terms of your question. Climatic variables need to be monitored for a long time to allow us to assess the influence of climate change on various communities. Unfortunately, there are no long-term observations, so I can't draw specific conclusions. Every year, we record an increasing number of mushroom species that are endemic to the southern areas among microscopic mushroom communities. Our colleagues from Moscow State University link this to a warmer climate. Possibly, the mushrooms somehow start adapting to the new conditions and carve out their own niche. For example, we are seeing numerous mushrooms in the Aspergillus genus that are endemic to southern soils, and the diversity continues to increase. Moscow State University researchers conducted laboratory experiments to study the influence of temperatures on these mushroom groups, with positive results. So, this process might be linked with climate change. Our colleagues from Komi, Karelia and Siberia have also recorded the same findings. You proactively cooperate with local companies.Should we pay attention to your applied research? Where can we read your research results? 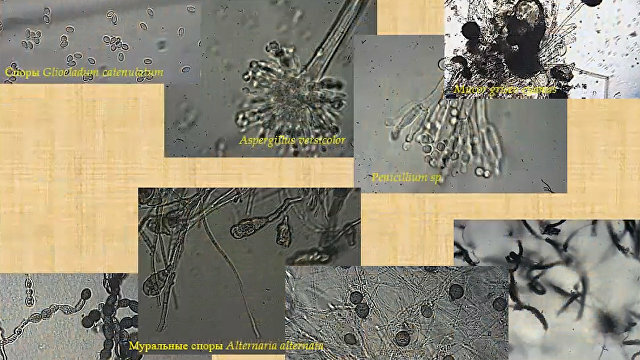 We mostly publish our findings in the Soil Science and Mycology and Phyto-Pathology journals, in the regional bulletin of the Russian Academy of Sciences' Research Center, and in foreign journals. The Theoretical and Applied Ecology journal and some others publish the theoretical aspects of our work. Do you work with your foreign colleagues? Our contacts mostly deal with the removal of oil slicks from water bodies and coastal areas, and we have been implementing the Kolarctic project since 2012. This project will continue through 2018.